This article provides a guided tour through three diverse cultural ways of understanding nature: an Indigenous way (with a focus on Indigenous nations in North America), a neo-indigenous way (a concept proposed to recognize many Asian nations’ unique ways of knowing nature; in this case, Japan), and a Euro-American scientific way. An exploration of these three ways of knowing unfolds in a developmental way such that some key terms change to become more authentic terms that better represent each culture’s collective, yet heterogeneous, worldview, metaphysics, epistemology, and values. For example, the three ways of understanding nature are eventually described as Indigenous ways of living in nature, a Japanese way of knowing seigyo-shizen, and Eurocentric sciences (plural). 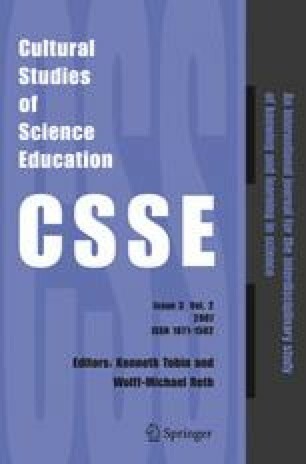 Characteristics of a postcolonial or anti-hegemonic discourse are suggested for science education, but some inherent difficulties with this discourse are also noted.